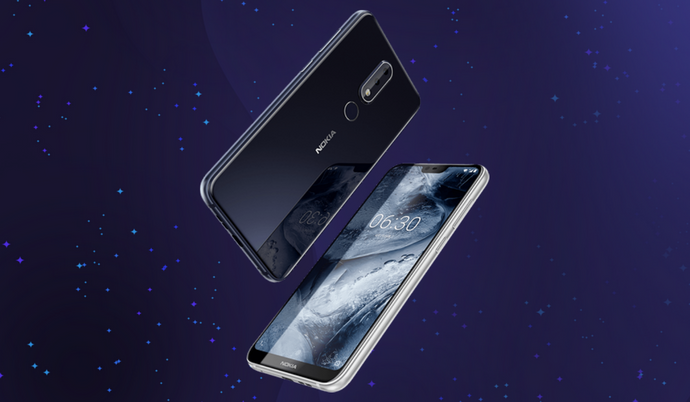 Last month, HMD Global has recently launched the Nokia 2.1, Nokia 3.1, and Nokia 5.1 smartphones at an event held in Russia. In the past few weeks, there are leaks about the launch of Nokia 5.1 Plus (a.k.a Nokia X5) with notch display with HD+ resolution and 19:9 aspect ratio. The Nokia X6 launched exclusively in China is the company’s first smartphone to embrace the notch. While the company is teasing about the Nokia X6 global launch, there is no confirmation till date. Now, a new smartphone called Nokia 6.1 Plus is listed on Google’s ARCore website. We are listening for the first time about this device and there is no other information available except its name. The company might launch the Nokia X6 in the international markets as Nokia 6.1 Plus. However, we can’t confirm anything now as there is no official announcement from the company. The Nokia X6 is priced very aggressively in China, the base variant with 4GB RAM costs just 1299 Yuan. The Nokia X6 comes with a 5.8″ notch display that offers Full HD+ (2280 x 1080 pixels) resolution and 19:9 aspect ratio. Under the hood is the Qualcomm Snapdragon 636 octa-core processor coupled with Kryo 260 CPU and Adreno 509 GPU. The Asus Zenfone Max Pro M1 and Xiaomi Redmi Note 5 Pro are also powered by the same chipset. The Nokia X6 comes in 4GB and 6GB RAM variants and includes 32GB and 64GB of internal storage respectively. While the Nokia X6 runs on Android 8.1 Oreo out of the box with customized skin laid on top, the Nokia 6.1 Plus might join the Android One lineup. In the camera department, the Nokia X6 sports 16MP + 5MP dual rear cameras with f/2.0 aperture and a 16MP single front camera with the same f/2.0 aperture for selfies. It is backed by a 3,060mAh battery and support fast charging via USB Type-C port. The device can be unlocked using fingerprint sensor and face unlock options. The post Nokia 6.1 Plus Spotted Online, Could be the Global Variant of Nokia X6 appeared first on PhoneRadar.